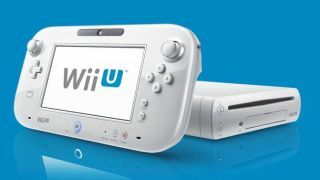 Nintendo's Wii U is set to launch on Nov. 18, and pre-orders are already selling out, according to some reports. But some troubling news arrived this week when Nintendo announced that it won't sell standalone Wii U GamePads - the tablet-like controllers - in the west for some time. That's because games that actually require two GamePads won't come out until next year, which makes quite a bit of sense. But what is one to do if that GamePad gets accidentally sat on or chucked at the TV screen in frustration? The news today is that Nintendo will in fact offer replacement GamePads to those who require one. But it's not going to do it for free - a new Wii U GamePad will cost "a fee," according to Nintendo, and there are some guesses as to what that fee could be. Nintendo hasn't confirmed what it will charge for replacement GamePads, but the standalone tablet controllers will cost ¥13,400 in Japan, or around $172 (£106). Nintendo may not charge full price for a GamePad to those whose controllers have been lost, stolen or broken, but chances are it won't come cheap. Keep in mind that Nintendo is the company that in 2007 began offering free protective rubber cases for its previous generation of Wii controllers when reports of damage to living rooms began flooding in. Granted, those Wii Remotes themselves proved quite durable. The Wii U is launching Nov. 18 and starting at $299, with a $349 version bringing more storage, stands for the console and GamePad, and more. With more than 50 titles expected during the console's launch window, including potential heavy hitters like New Super Mario Bros. Wii, Mass Effect 3: Special Edition, and ZombiU, the Wii U could prove a major boon to Nintendo's business.